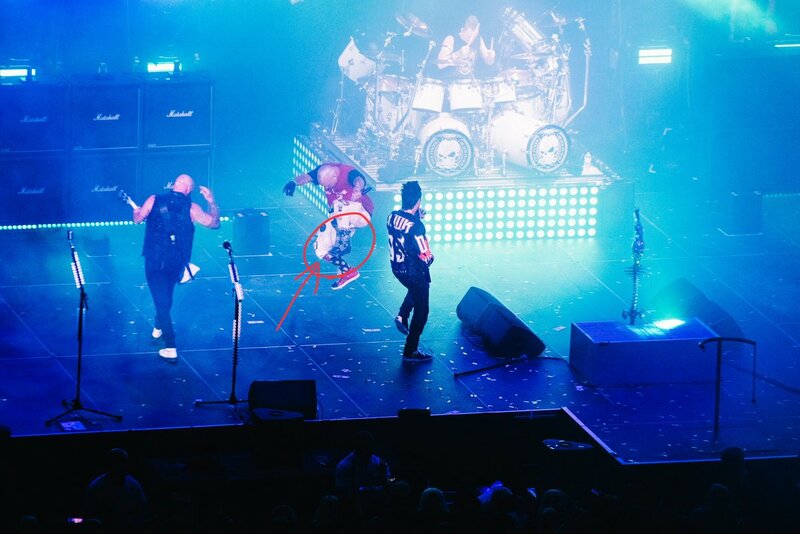 Zoltan Bathory tweeted an image of Ivan Moody performing with a broken foot in a boot cast. The injury doesn't seem to be impeding him, at least in this moment, as he's seen doing a mid-air stomp, though he was also seen using a cane. Bathory posted a poll for followers to determine if "Mr. Broken Foot" is insane or not.